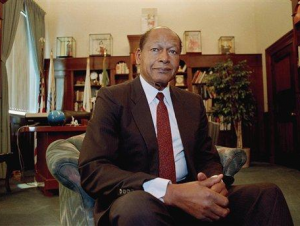 Thirty-five years before Barack Obama’s election as President, the question of race and the possibility of bridging racial and ethnic barriers was put to a test in an overlooked and untold story in American politics: The 1973 election of Tom Bradley, the first African American mayor of a major U.S. city with an ovewhelmingly white population. BRIDGING THE DIVIDE: TOM BRADLEY AND THE POLITICS OF RACE tells the little known story of Los Angeles mayor Tom Bradley, the first African American mayor elected in a major American city with an overwhelmingly white majority. His extraordinary multi-racial coalition redefined Los Angeles, transformed the national dialogue on race, and encouraged elections of minority candidates nationwide, including our nation’s first black president. The film brings into sharp focus issues of police brutality in minority communities and the challenges of police reform. BRIDGING THE DIVIDE is the story of the pressures which face our cities, the paradox of race, and the complexities of coalitions in a changing America. Director/ Producer/ Writer Lyn Goldfarb and Producer/ Writer/ Research Director Alison Sotomayor began the groundwork for BRIDGING THE DIVIDE while working on THE NEW LOS ANGELES, an hour-long documentary, part of the 2006 national primetime PBS series, CALIFORNIA AND THE AMERICAN DREAM. The tow filmmakers joins us for a conversation on the contentious history of the Los Angeles Police Department and the resolute determination of Tom Bradley to reshape the city he loved. BRIDGING THE DIVIDE: TOM BRADLEY AND THE POLITICS OF RACE will be screening at the Los Angeles Film Festival! By popular demand, there will be a second screening on Tuesday, June 16 at 4 p.m.
Tickets are free and are available online through the Los Angeles Film Festival website. There is a $1.00 surcharge per ticket. This entry was posted in documentary, drama, Film School interview, Indie, Los Angeles Film Festival by admin. Bookmark the permalink.